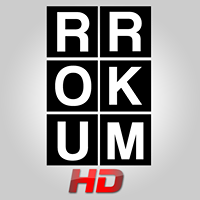 General TV Channel / Rrokum TV is a local television station from Pristina, Kosovo. The office and studio address of the Rrokum Television: "Sejdi Kryeziu", 5/6 - Pristina. Telephones: Office / Office: +381 (0) 38 609 272 Management: +381 (0) 38 609 273 Marketing: +377 (0) 45 203 204 E-mail: info@rrokum.tv office@rrokum.tv marketing@rrokum.tv.